Trick or treat? It's definitely a treat when the spelling lesson's holiday themed. This worksheet is will help your kid get to know the word "house." 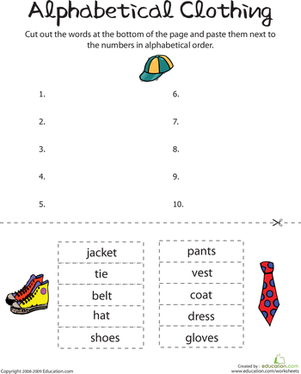 Vocabulary worksheet are a great way to help your child practice spelling, writing, and using words in a sentence. She'll even get to make up a silly sentence of her own! This Halloween worksheet introduces the word "hat," as in a witch's hat! Your kid will practice writing the word "hat" alone and in a sentence. Teach your kid the word "pumpkin" with this Halloween-themed worksheet. First he'll practice writing the word, and then using it in a sentence. Get caught in a word building web with this Halloween-themed printable. Your child will practice spelling, writing and using the word "spider" in a sentence. 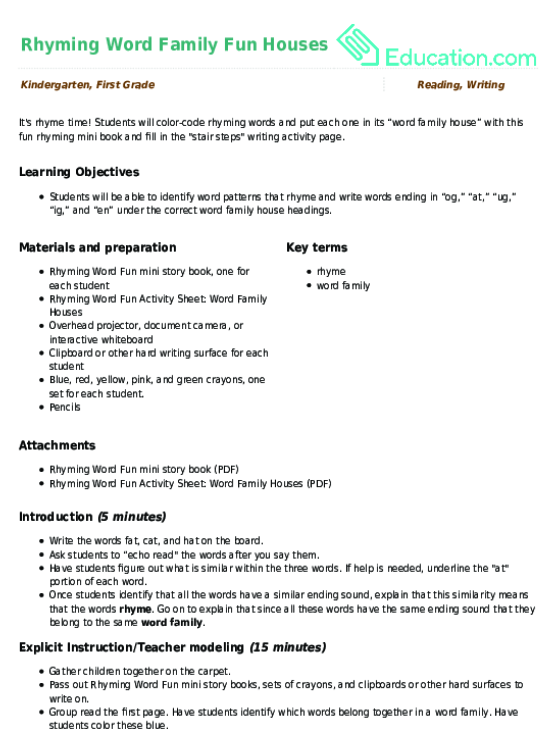 Students will color-code rhyming words and put each one in its “word family house” with this fun rhyming mini book and fill in the "stair steps" writing activity page.